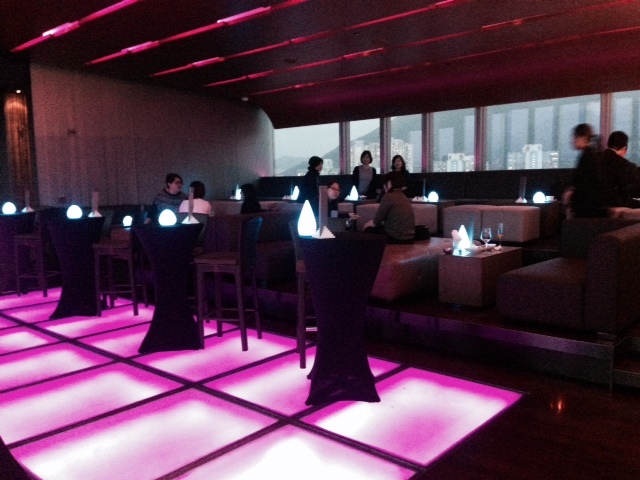 After being blown away by Azure, the rooftop bar on LKF Hotel, I thought it’d be hard to top. Well, another rooftop bar on another hotel has done it. To be honest, there’s an element of dead heat given the completely different perspectives of Hong Kong that are offered. Whilst Azure is all about the skyscrapers, Sugar on top of the East Hotel is all about the water. 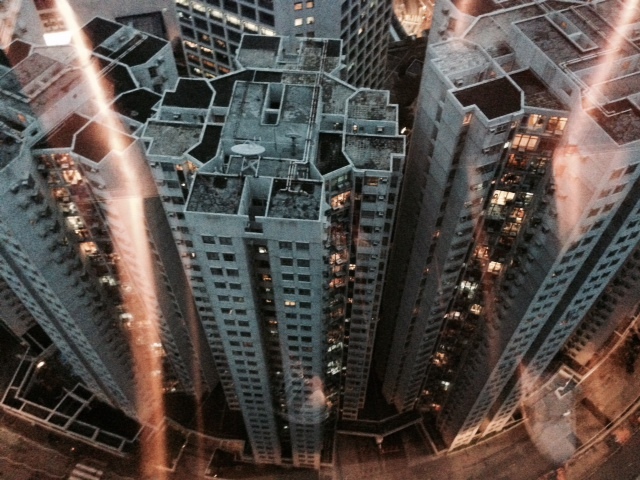 That said, the view you get when having a slash is also pretty remarkable as you look down upon a cluster of apartment towers. For mine, the water is the star. Cruise ships look like bath toys against the Dark Side’s skyline. 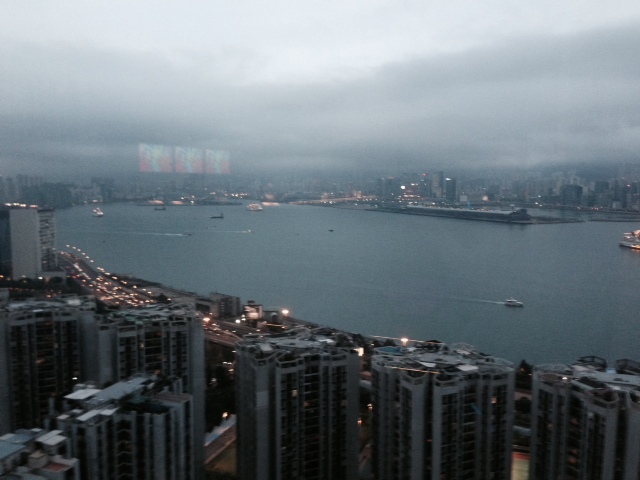 The Dark Side is what our local mate calls the Kowloon side. Tai Koo is 8 stops from Central on the MTR so it is mainly locals that patronise the joint. There’s an annoying membership form to complete, but once in – it’s a treat. Bar opens at 5pm and we snaffled a cane couch against the glass. I’d imagine it gets a little doof-doof later in the evening as the DJ warms up. Sundowners Happy Hour(s) occurs between 5 and 7pm. For beer drinkers that means cheap Heineken. 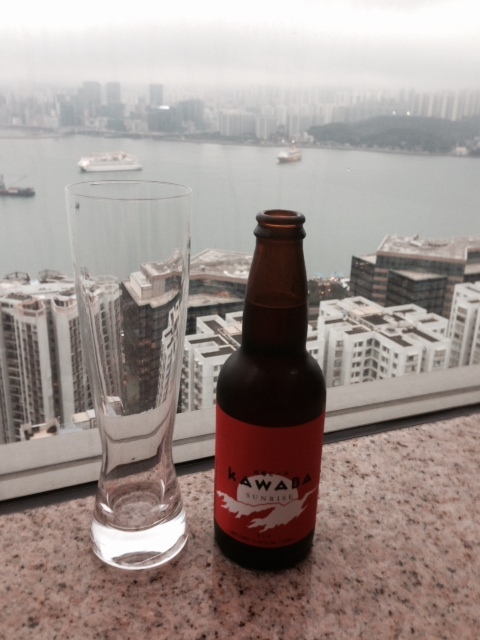 I dodged the Heine and opted for the intriguing Kawaba Sunrise Ale. Great choice. This was a warming Japanese Amber Ale that was a well rounded classy biscuity drop. Sunrise with the sunset (not that we saw it with the cloud).